4 In a medium saucepan, bring remaining 1 cup sugar, peaches(with juice or syrup) and lemon juice to a boil over high heat, stirring constantly. 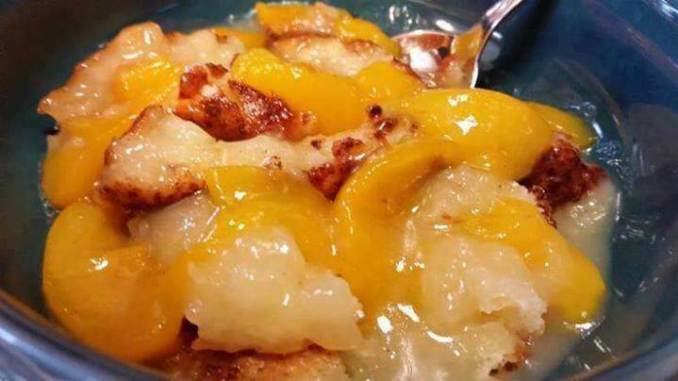 5 Spoon peaches over batter(do not stir), then gently pour hot juice over batter. Sprinkle with cinnamon or nutmeg if desired.